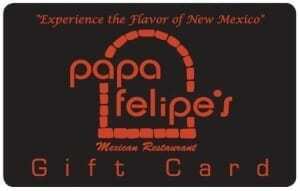 Who’s Going to Say No to a Papa Felipe’s Gift Card? Our gift cards are sought after world-wide! 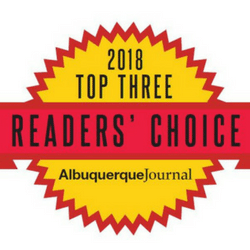 OK, that might be a bit of an exaggeration, but a lot of folks around Albuquerque think they are pretty cool. Get a stack for friends (and be sure to keep one for yourself). Gift cards start at $20.00 and increase in varying amounts up to $100. 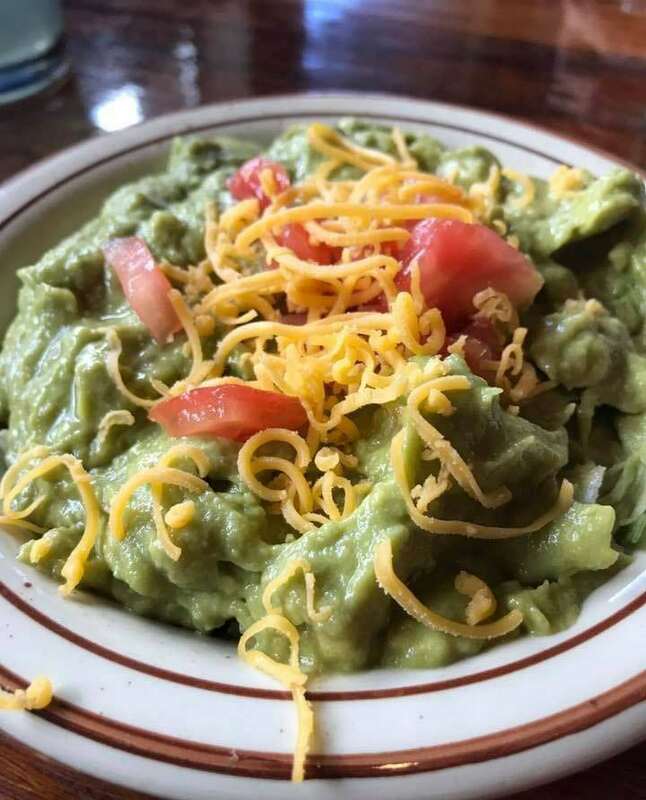 1st class: $1.00 (2 to 3 business days, no tracking info) – this option available up to 5 gift cards on one order. Priority Mail: $5.75 (1 to 2 business days, tracking info) – must use this option for 6 more gift cards on one order. The Fine Print: Save your receipt. On 1st class mailings, we are not responsible for lost or stolen cards. If a card is lost or stolen, please send an e-mail to rudy@papafelipes.com with your receipt information. We will attempt to cancel the lost or stolen card and mail a replacement. Each order is shipped to ONE address. If you want gift cards shipped to multiple addresses, you must place multiple orders. Make sure to enter the correct “Ship to Name” and correct “Ship to Address” on the check-out page on each order. 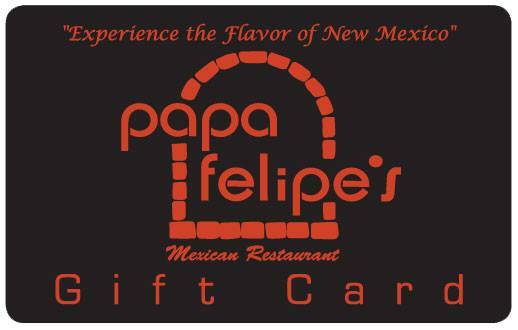 There are two ordering options: 1) Ship your gift cards 2) Hold for pick-up at Papa Felipe’s. Please pick the correct option for you. Did you know you can buy Papa Felipe’s Salsa online too?